A couple of days ago, I got the sweetest surprise in the mail from my dear scrappy friend, Mary (Abbygirl). She sent me one her oversized tags that had the coolest flowers on it made from rick rack. I decided to give that a try and this is what I came up with! This rick rack was in my Mom's collection, still in the original packaging and must be at least 40 years old! I love the colors! So happy and vibrant! This must have taken hours! wow, that is amazing! The colors are just beautiful, and I can't even imagine how long something like this takes. So creative. 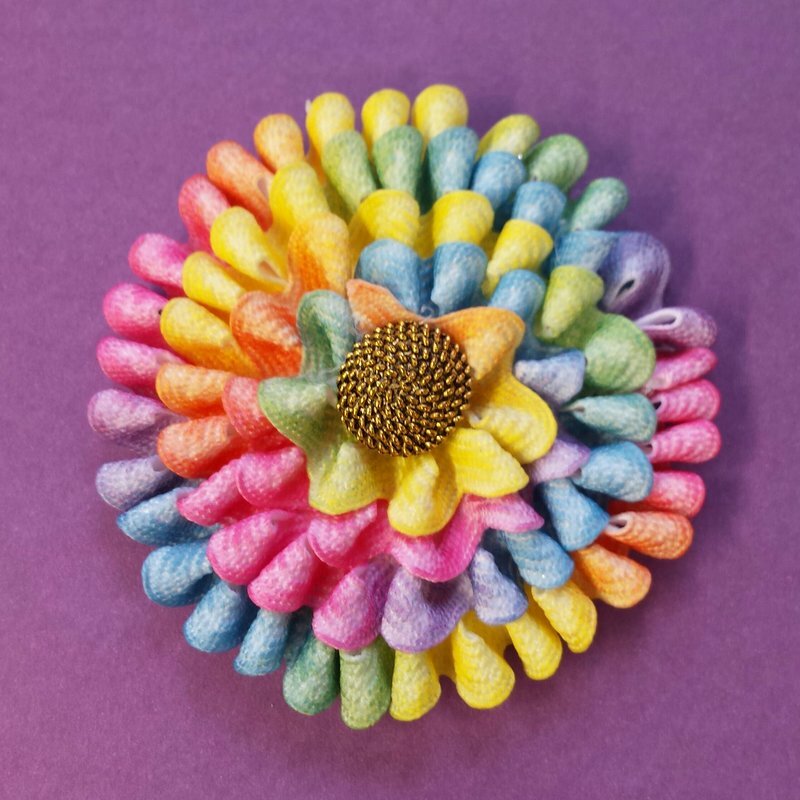 Love the multi-colored rick rack flower; so creative! Wow, fantastic, this is absolutely cool! This is amazing! I've never seen multi color rick rack.